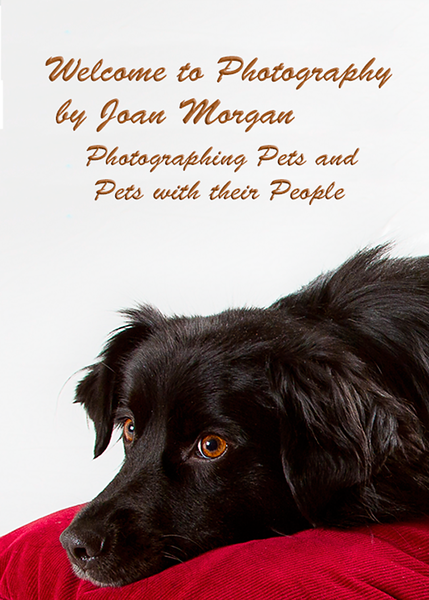 I specialize in photographing pets and pets with their people. a) A consultation to discuss details such as time, place, number of pets and/or pets and people. b) Your expectations, for example, a formal setting with family and pets or something a little more playful with children playing with their pets. The session can take place at your home, in my studio or at a location within the city. The session will take at least 1 hour and the images will be posted on my web site within 3 days. A minimum of 50 images will be posted for you to choose from. The cost of the session will be $75.00 payable at the end of the session. Included with the prints are the low res. efiles suitable for viewing on the web. Larger prints available on request. Prints can be picked up at my home or be mailed. There is a $5.00 fee for mailing. Files suitable for viewing on a computer $10.00 each.